For Today's Dynamic Church Music Ministries! Music in many of today's houses of worship is experiencing expansion in style and presentation, both from traditional and nontraditional directions. This has increased the complexity of-and the demand for-sound system installations. For traditional music requirements, pipeless organs have their own audio systems to optimize their sound. A separate PA system is also required for the spoken word-and often to amplify a choir. These sound reinforcement requirements are very different, requiring unique solutions: the organ requires dispersed sound, while the spoken word requires a directional sound source. The addition of contemporary music with digital pianos, keyboards and CD players places even more demand upon a church's audio installation. While these products require dispersed sound similar to organs, typically a separate, third audio system using free-standing amplifiers and speakers has been added to meet the need. This increases both the expense and the space required for sound systems. Allen organs with Expanded Audio Capabilities (EAC) offer unique solutions to reduce costs, improve tonal results, and make more efficient use of worship space. With EAC, Allen organs can serve two of the three major audio requirements for today's music ministries: High fidelity pipe organ sound that has made Allen the choice of organists throughout the world, and an advanced audio center for a digital piano or MIDI keyboard and CD player. 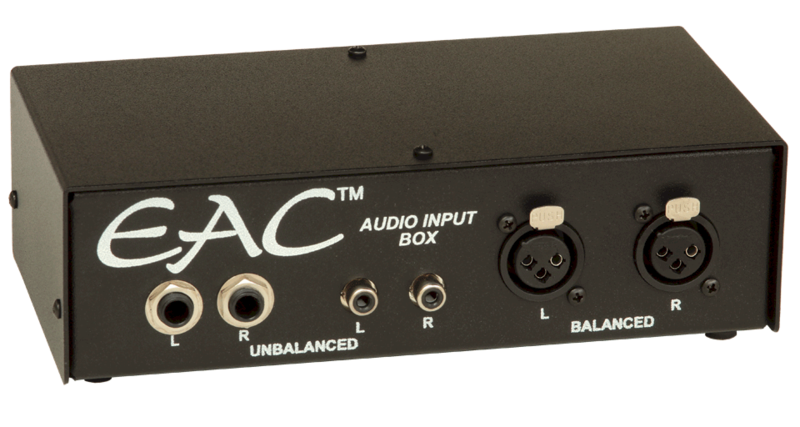 Allen's EAC eliminates the need for a third audio system. 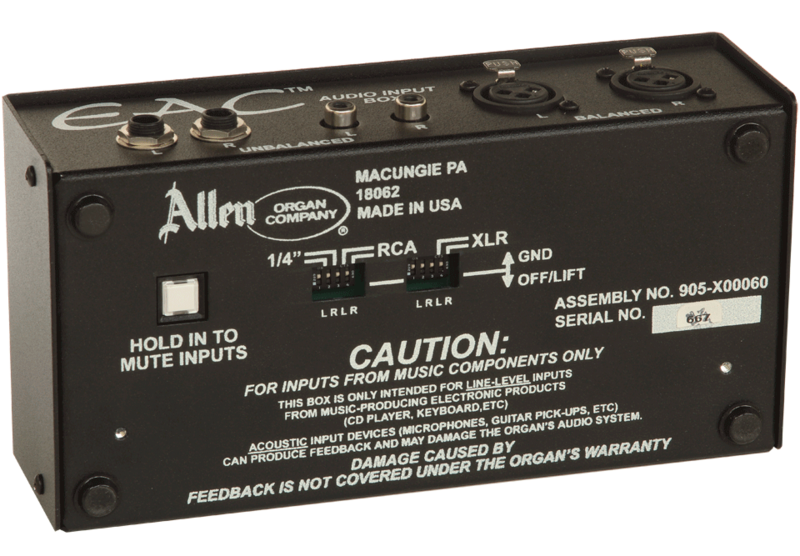 Allen organs with EAC include a convenient Audio Input Box with three stereo pair inputs: one for a digital piano or MIDI keyboard, one for a CD player, and one for a balanced line input. 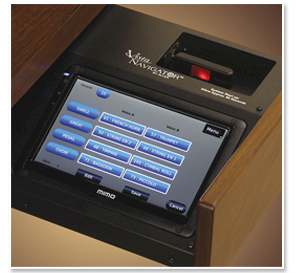 The Audio Input Box includes ground lift switches for each input to help optimize the installation. • Lower Costs - Separate audio systems for digital pianos, MIDI keyboards, or CD players can cost thousands of dollars. 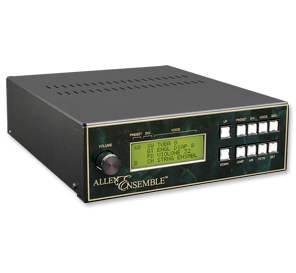 With EAC, the Allen organ audio system eliminates this duplicate cost. • Increased Tonal Fidelity - Floor-standing amplifiers and speakers typically used with digital pianos and MIDI keyboards do not disperse sound throughout the sanctuary. With EAC, Allen's massive audio system allows these keyboards to sing throughout the sanctuary. 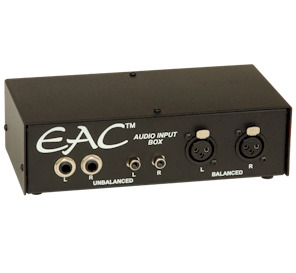 • Efficient Space Utilization - EAC eliminates the need for floor-standing amplifiers and speakers for digital pianos and MIDI keyboards. 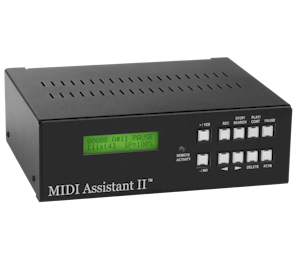 This not only frees up precious space, but eliminates the need to set up and tear down audio equipment between traditional and contemporary services.